FRESNO, Calif. -- Authorities say a man charged with carrying out nine contract killings in Central California has confessed that he actually killed 40 people over several decades. Jose Manuel Martinez, 51, allegedly told investigators he carried out the crimes working as an enforcer for a drug cartel, said Errek Jett, the district attorney in Lawrence County, Ala. Jett said they believe Martinez because of the details he gave investigators. Martinez was arrested last year shortly after crossing the border from Mexico into Arizona and sent to Alabama, where he awaits trial on one murder charge. Once word got out, a steady stream of investigators from across the country came to question Martinez, Jett said. Defense attorney Thomas Turner, who represents Martinez in that lone case, said his client is eager to start a June trial in Alabama, so he can return to California. Turner said Martinez maintains his innocence to the charge there and doesn't seem to be a hardened killer. "I've found him to be polite and a likable individual," Turner said. "He has a good personality as far as talking with him." Prosecutors in California say otherwise. Martinez targeted victims in Tulare, Kern and Santa Barbara counties between 1980 and 2011, said Tulare County Assistant District Attorney Anthony Fultz, who filed charges Tuesday. Investigators have released details of their case, saying six of the victims were killed in Tulare County, two in Kern and one in Santa Barbara. They ranged in age from 22 to 56, investigators said. One man was shot dead in 1980 driving to work in the morning, while two men were shot in 1982 working on a ranch, one surviving. The same year, another man went missing before being found two days later by ranchers shot and stabbed to death. Yet another was found in 2000 shot to death in bed with his four children at home. In addition to the nine murder counts, Martinez was charged in California with one count of attempted murder and the special circumstances of committing multiple murders, lying in wait and kidnapping. Four murder charges include the allegation he committed the crime for financial gain, the criminal complaint says. 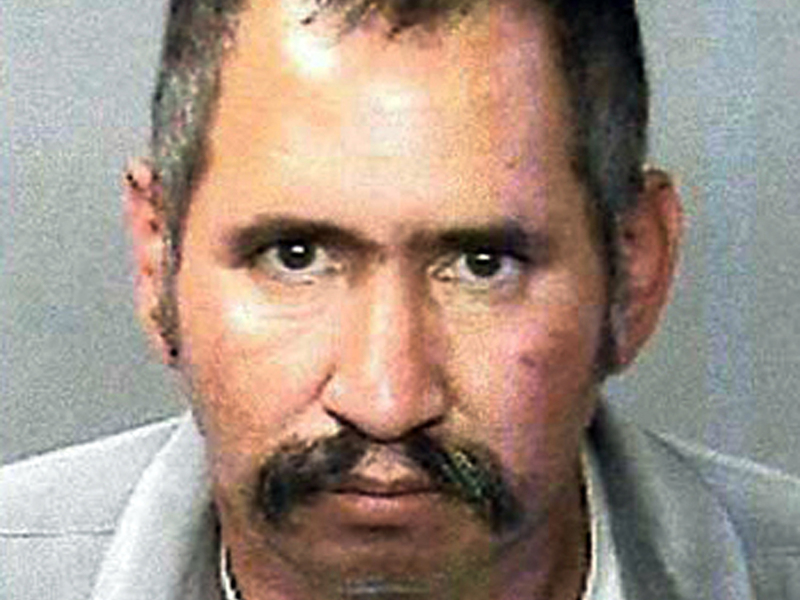 The California charges would make Martinez eligible for a death sentence, if he is convicted. Martinez has lived on and off in Richgrove, a small farming community in Central California about 40 miles north of Bakersfield. He's being held in Alabama, awaiting trial in a 2013 slaying, and Fultz said he's also wanted in Florida on suspicion of two killings there in 2006. Fultz declined to comment on any connection Martinez may have with drug cartels, saying he did not want to damage the case at this early stage. Fultz said that too will remain under investigation. Fultz said he is confident Martinez committed at least the nine killings he's charged with, but he has heard higher figures from across the nation. "We're actually not sure what the full scope is," Fultz said. "It will depend upon what the investigation shows." Martinez has spent brief stints in state prison following a 2007 conviction on theft and drug charges, according to the California Department of Corrections and Rehabilitation. Acting Tulare County Sheriff Mike Boudreaux said his deputies came in contact with Martinez while investigating a rash of home-invasion robberies in late 2012 and early 2013. Martinez was at a home they searched and was questioned by Sgt. Christal Derington, but not considered a suspect. From his cell in Alabama, Martinez requested a meeting with Derington, who flew across country three times, because Martinez said "he wanted to talk to her," Boudreaux told The Fresno Bee. The cases in California came together, he said. "As a result of Detective Derington's initial investigations and interviews, we began working on new leads," Boudreaux said. "While this case has been filed, there is plenty of work to be done." Meanwhile, Martinez's mother told the Los Angeles Times on Wednesday that she was completely overwhelmed by the news of her son's alleged crimes. "This is hard for me - really hard," Loreta Fernandez said in Spanish. "I'm still shaking. I'm not in a condition to deal with this." Fernandez told the paper that the last time she spoke with her son was in June, when he was detained while crossing the Mexican border because there was a warrant for his arrest in Alabama. She said she didn't believe he committed the murders. "All I can say is God bless him and that not everything he's saying is true," Fernandez said.